Laser scanning has helped England do everything from discovering new things about Stonehenge to planning better flood infrastructure. Now, the country has made the entirety of its massive trove of scans available for free—in part because of requests from everyone from researchers to Minecraft players. It’s also for anyone who could benefit from a comprehensive, high-res model of the country, including archaeologists studying Bronze Age burial sites, scientists working on climate change, and urban planners. In fact, England’s been making its LIDAR data available for a few years. But last month, it made the entire 11-terabyte dataset available for free through an online portal. As the government’s Environment Agency points out, “that’s roughly equivalent to 2,750,000 MP3 songs.” As Prosthetic Knowledge put it this week, “you can download a country,” for free, for any use you want. 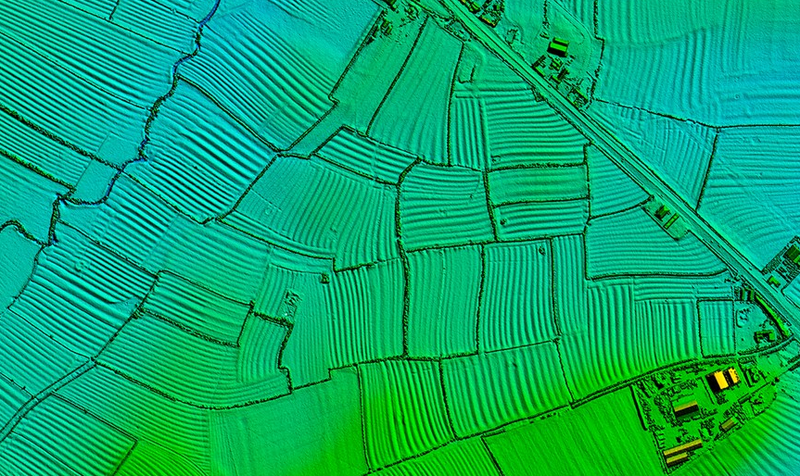 What is LIDAR data, anyway? In simple terms, LIDAR is a scanning system attached to the belly of a low-flying aircraft in order to pulse laser light at the surface of the Earth. This light is reflected back up to the system, where it is measured, creating a reliable reading of the 3D shape of the ground below. As it’s gotten cheaper, LIDAR has become more commonplace. It’s played a big role in recent archaeological discoveries because it can “see” elements of the landscape that might be concealed by tree canopies or obscured by modern-day construction. In particular, it helped researchers uncover a “lost” city in the Honduran rainforest last year. Since governments can’t be responsible for analyzing all the data it collects, it makes sense that they would open it up for public use. This is a growing trend: Minnesota has made its own LIDAR data available online, for example. Finland has made its data for some of the country available a few years ago, too, along with Switzerland and several other countries. But England’s data is very high resolution—it’s two meters, compared to most four meter-resolution maps—which makes it more useful for everyone, from researchers to gamers. You have to know how to download and use the files with GIS, but that shouldn’t be too hard to figure out. For more information on the process, check out this useful post on The Dirt Doctors.